Let the fun begin! Toy Fair NY 2017 opened yesterday and once again we were in attendance and as always, the show never fails to have more offerings and new product launches than one reporter can take in over four days. We will be back with updates from the show through Tuesday. 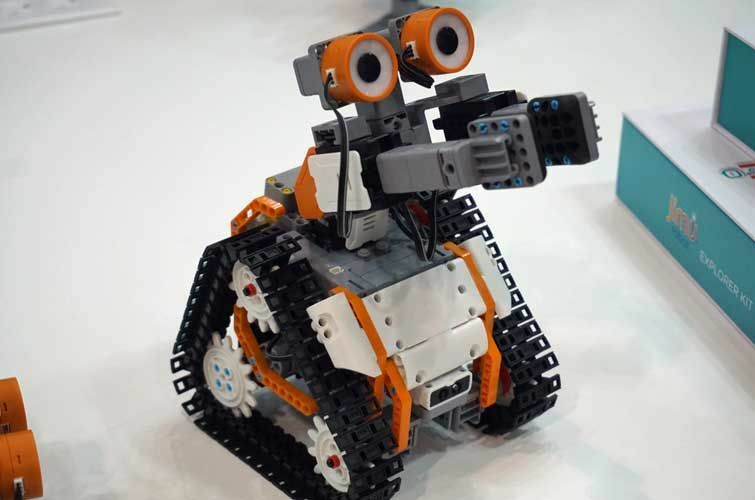 One show highlight this year is UBTech’s AutoBot robot kits. They are a true mix of STEM engagement that includes every acronym in the name. There is the building (engineering) part that children will love. Coding is also friendly and easy to learn making your AstroBot creation come to life! We’ll have an interview from UBTech coming online shortly so stay tuned for this as well as all the cool and new STEM toys from Toy Fair 2017!